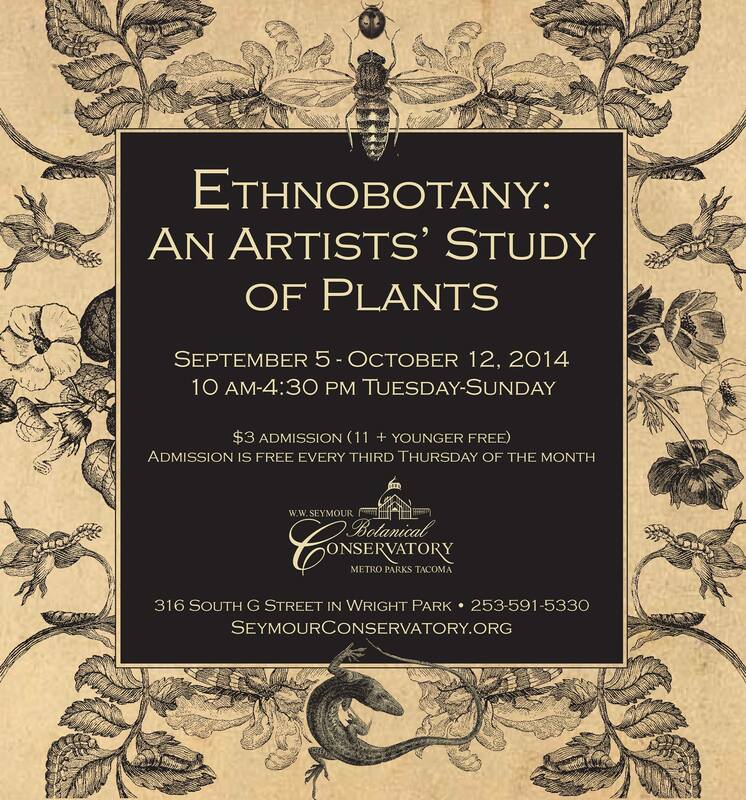 Artist and designer Lisa Kinoshita is curating a progressive show at our beloved Wright Park Seymour Conservatory entitled, ETHNOBOTANY: An Artists’ Study of Plants. The opening reception is Friday, Sept. 5, 6-8pm with musical guests Alex Tapia and Nate Dybevik. In this exhibition, 12 regional and national artists venture into the world of ethnobotany through recycled material, wood, textiles, glass, metal and ceramics. The science of ethnobotany studies the complex relationships that exist between plants and human societies in areas including food, clothing, currency, medicine, hallucinogenics, and shelter. The plant kingdom supports human life in myriad tangible ways; it is also a wellspring of inspiration and ritual. The works in ETHNOBOTANY: An Artists’ Study of Plants make often surprising connections between botanical life, art, contemporary circumstances, and science.